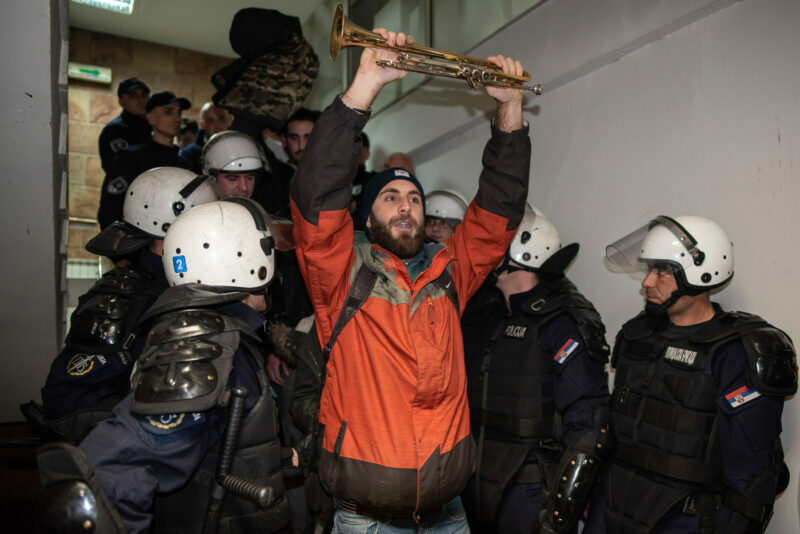 Belgrade, Serbia, 16.03.2019. 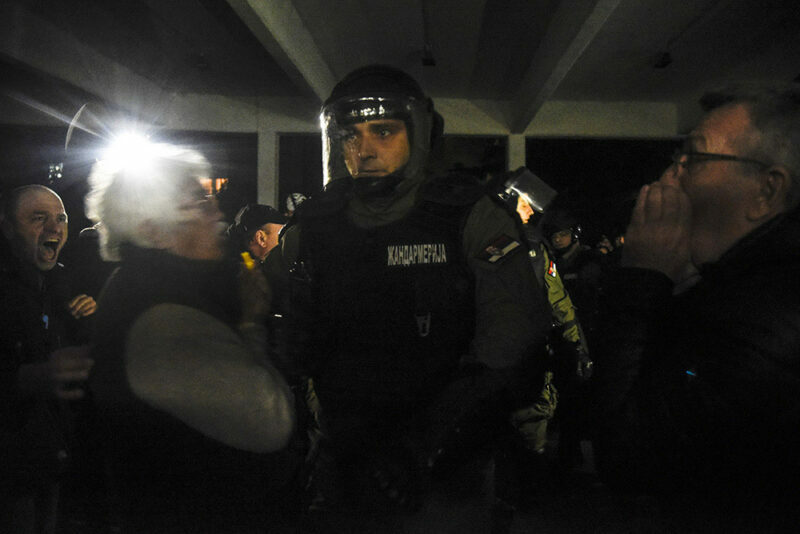 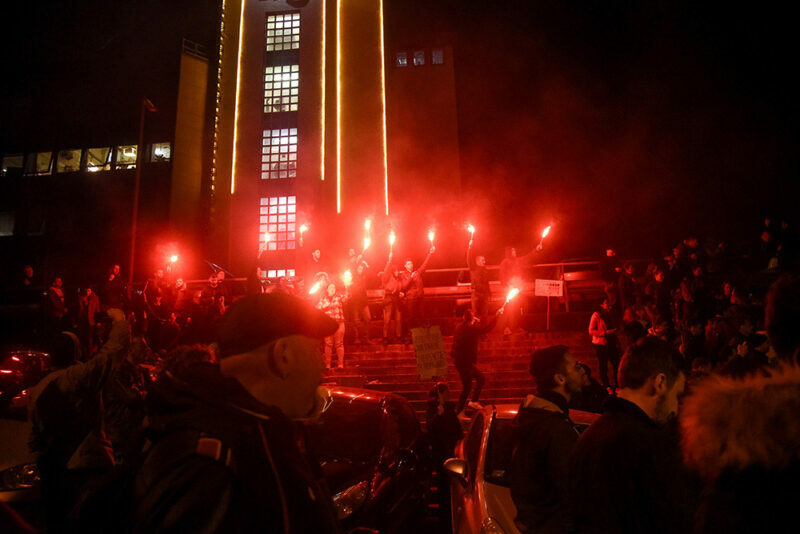 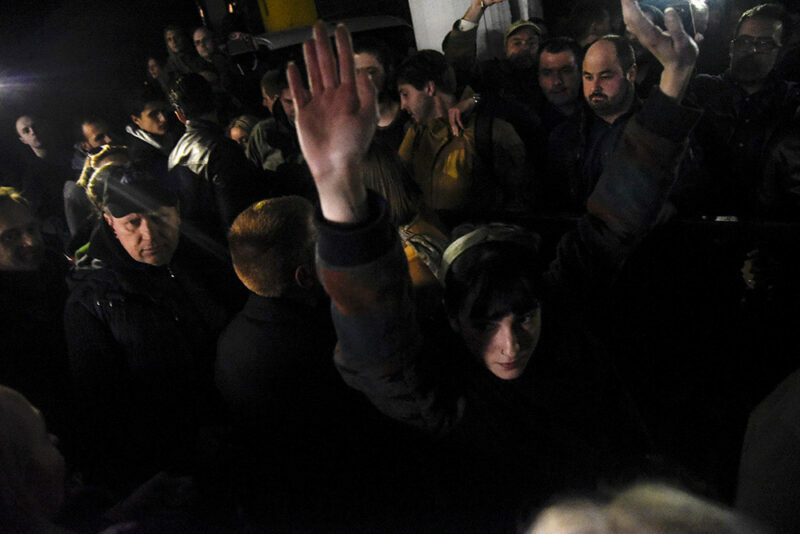 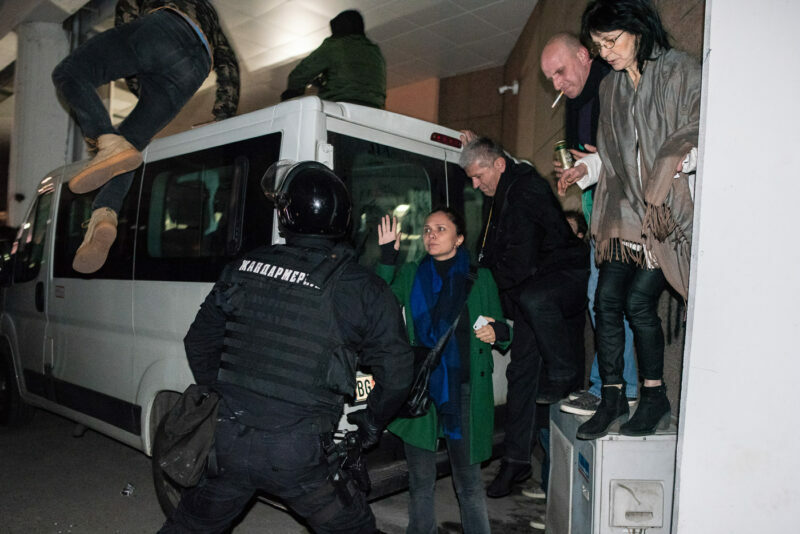 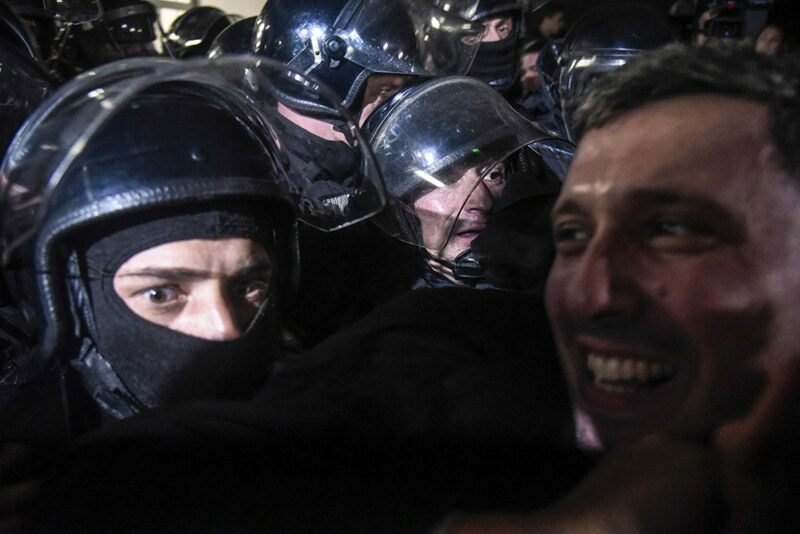 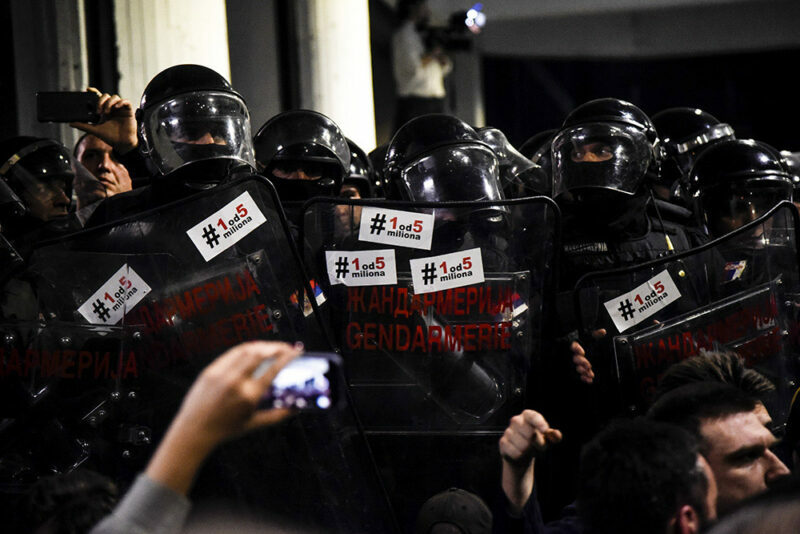 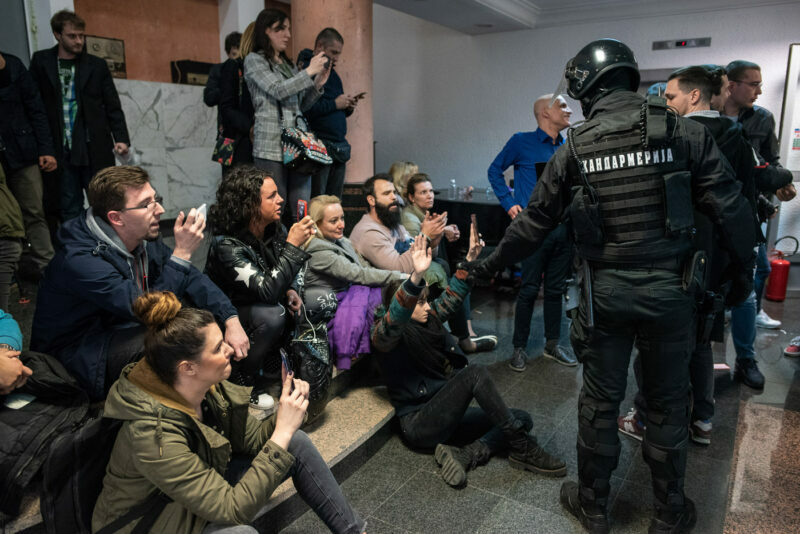 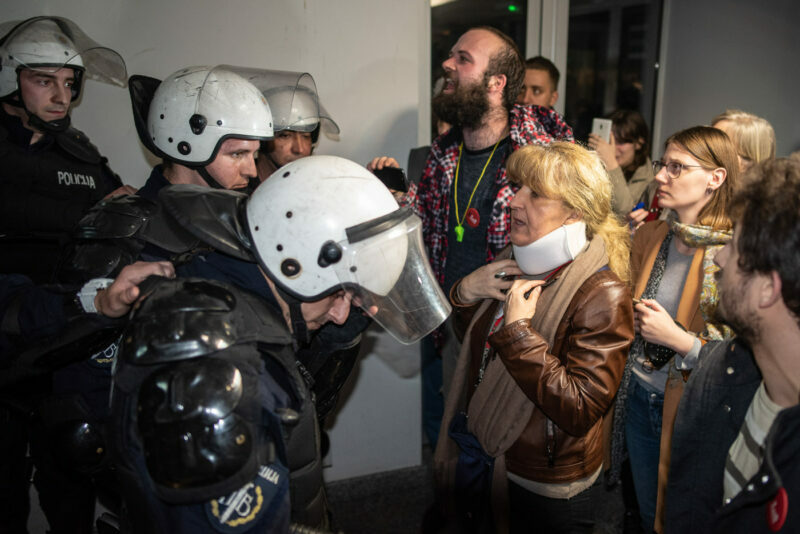 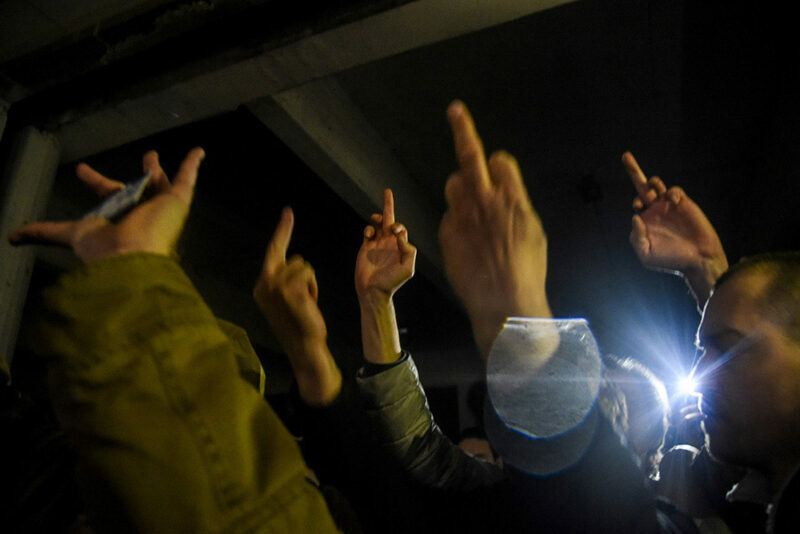 Several thousand opposition protesters stormed and occupied the state TV broadcaster RTS – Radio Television of Serbia, protesting against unfair and ignorant reporting about the demonstrations that have been going on for more than three months now in many Serbian cities. 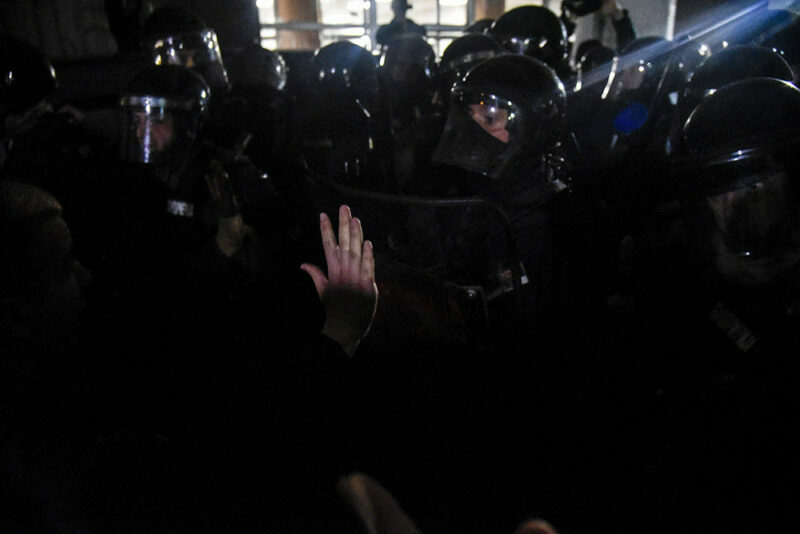 Police in full riot gear forced them out by pushing or dragging them one by one. 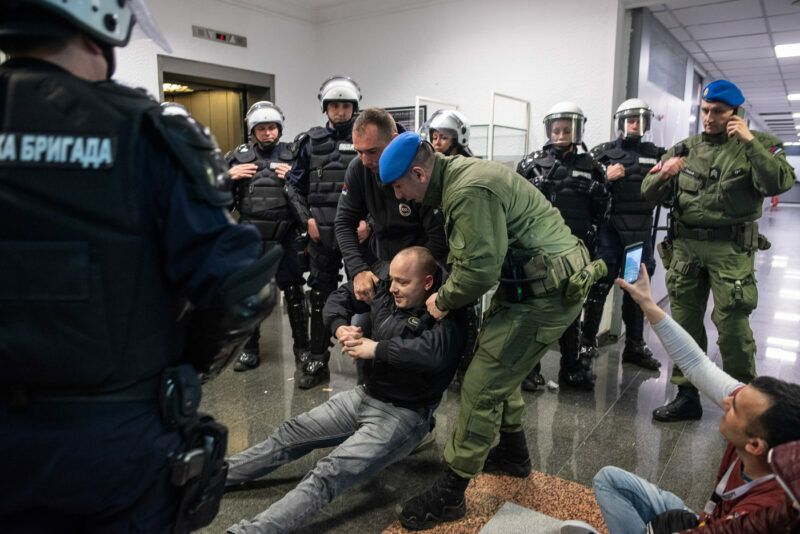 Excessive force was used in several cases against mostly peaceful mass. 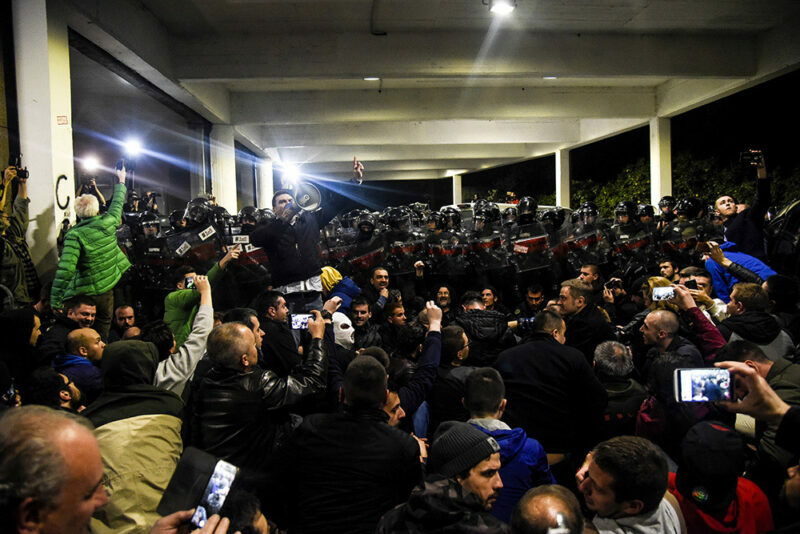 Protests against Serbian government and president Vucic started in December 2018. 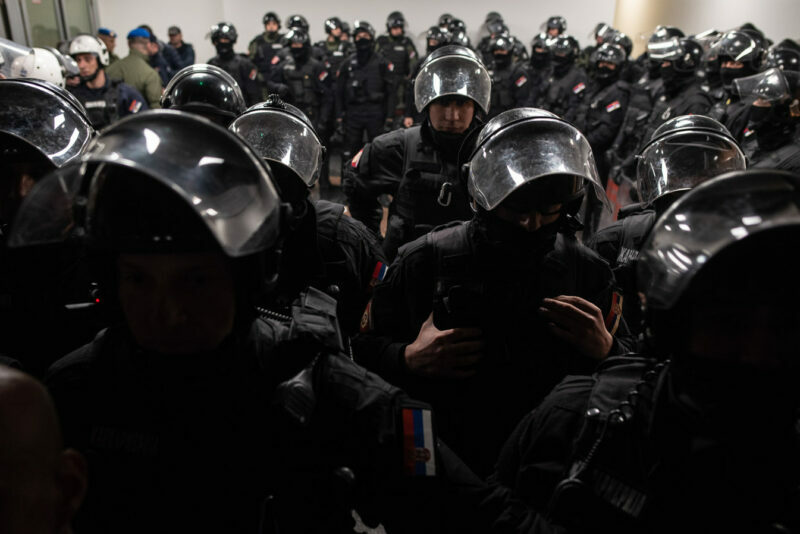 The initial cause for this was an attack on opposition politician Borko Stefanovic executed before the beginning of a political debate in Krusevac, when Stefanovic’s head was broken. 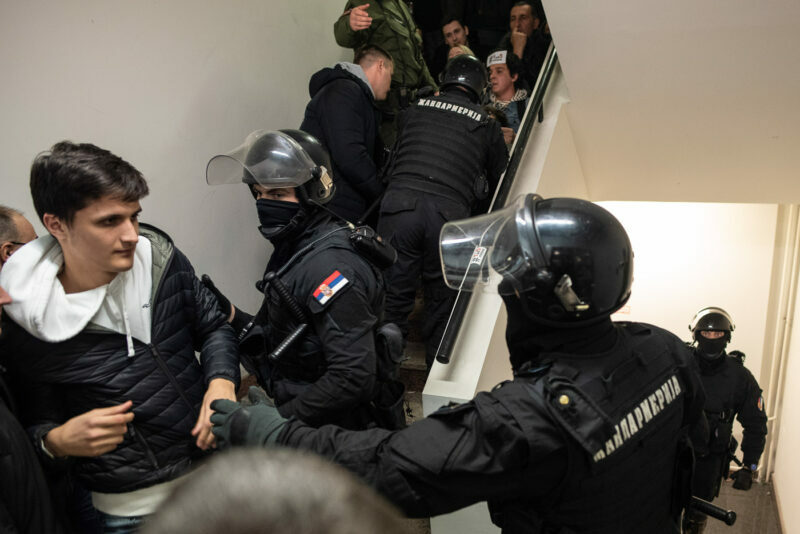 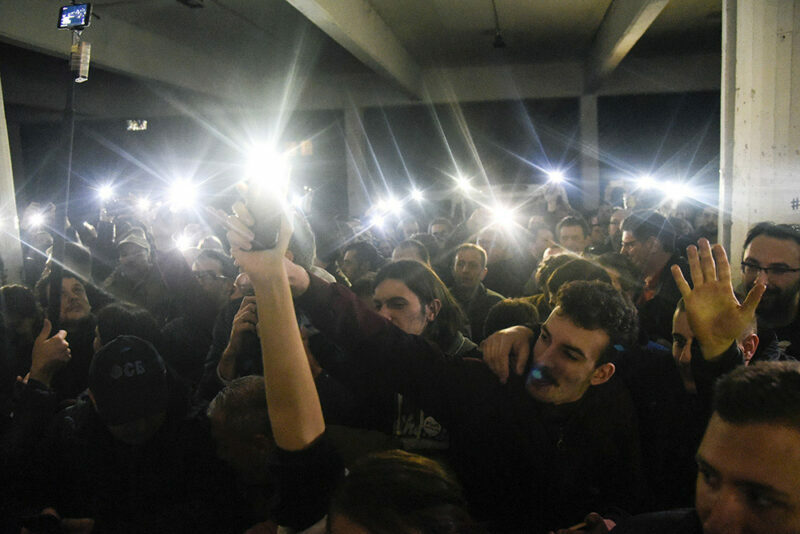 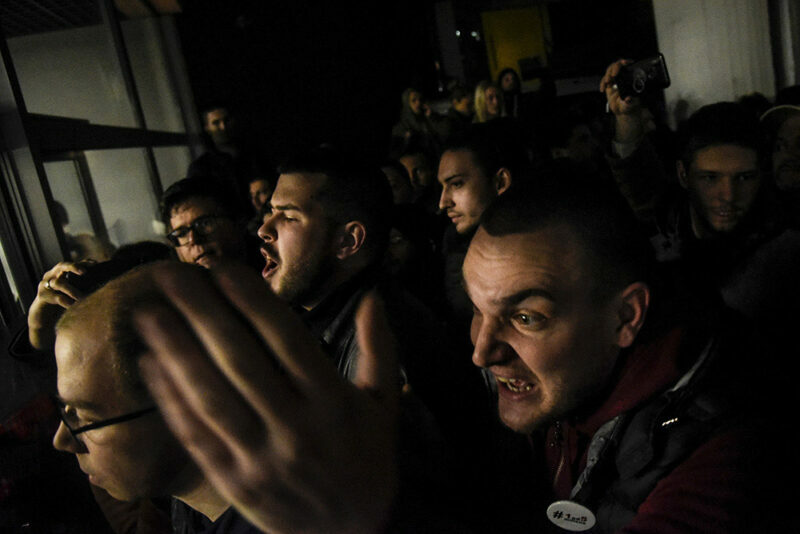 This event was just the escalation of dissatisfaction of the people with the current political situation, the rule of law, freedom of the media and human rights that are all on low level in today’s Serbia. 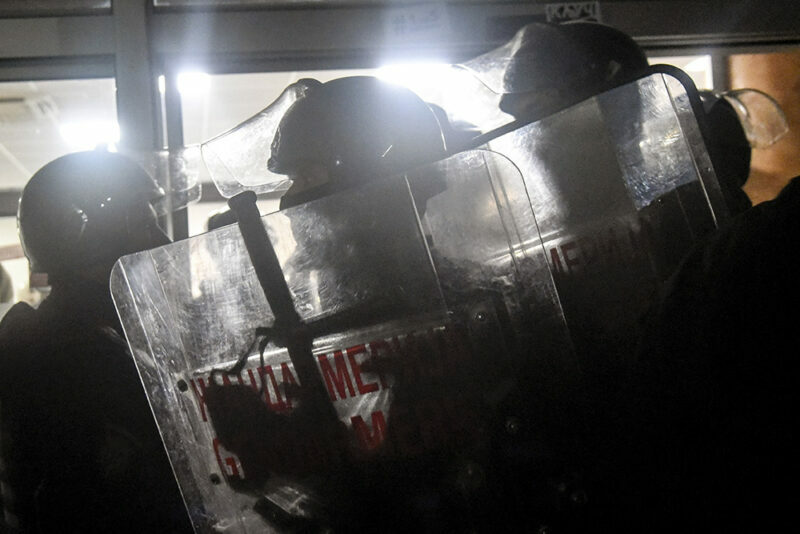 Any use without written permission from authors is strictly forbidden!